Some developers, we write directly to. Other times, we post up on our blog a suggestion or two and hope the developers visits. In the case of Apple’s eBook reader, we did a little of both. The iBooks app was a hit with us from it’s introduction. 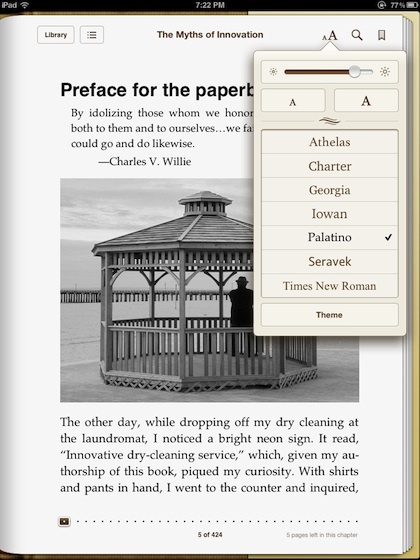 There are many reader options that have many more features, iBooks just happens to have what we need with little else. The update today includes a night reading option, which is a reversal of the screen so you have white text on a black background. Also, the addition of four more fonts: Athelas, Charter, Iowan, and Seravek. Tapping a word or series of words, you are given a pop up bar of options for finding and adding more information to your eBook. 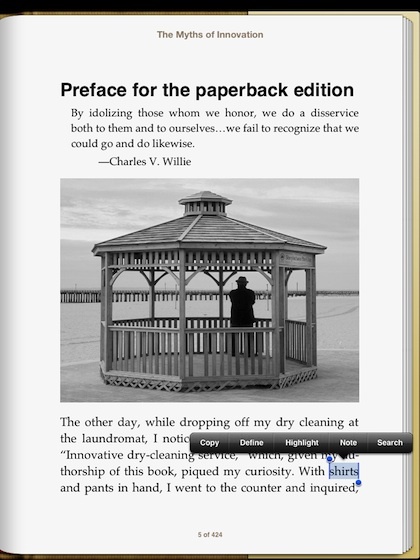 This update to iBooks also includes a full screen view of your eBook pages so you have no distractions from your reading. 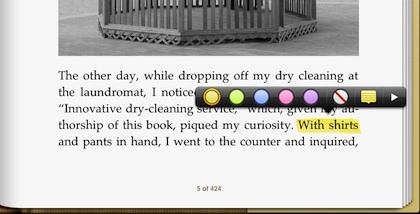 This update from Apple for their eBook reader includes enhanced Highlighting. If you choose the highlight option from the pop up bar, your given the option of five highlighter pen colors, a remove highlight button and a ‘notepad’ to add a quick note. Choosing the ‘Define’ option from the pop up bar give you a box showing the dictionary definition of the word. 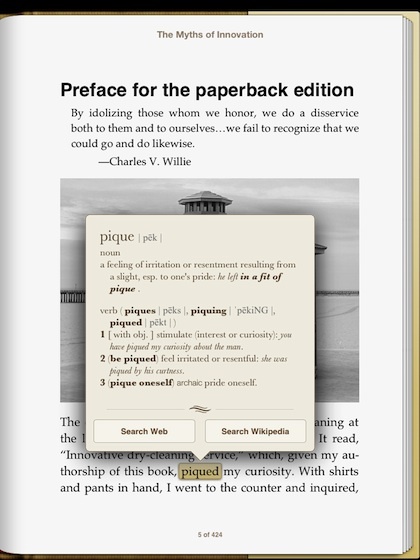 If that isn’t enough, iBooks also offers a button to give you more info on the word through a Web search or Wikipedia.